Hair is one of the most visible and aesthetically prominent parts of an individual's body. However, in recent years due to changing lifestyle and increased pollution many people suffer from slow hair growth and hair fall. 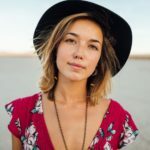 It is important that you try techniques for hair growth while stopping hair fall. This will help you attain a luxurious mane with long and flowing tresses. Apart from making you look physically attractive; your hair plays an important role in maintaining your emotional and mental health too. Hair loss can have a negative impact on the quality of life leaving you less confident about yourself. A good head of hair also helps you stay fit physically by keeping your body temperature regulated when you are out working in the sun. It also prevents wrinkles and lines from appearing on your on your temples to a great extent. 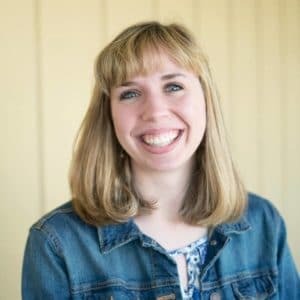 Why Should You Promote Hair Growth? Hair is an important part of your appearance and body. Preventing hair loss and promoting hair growth is important after a certain age as the development of new hair follicles slows down. It is important you promote growth naturally by including dietary habits and changing your lifestyle. How To Improve Hair Growth? Hair loss or slow growing hair can create immense aggravation and frustration. To top it all, there are many brands and products that claim to grow your hair and remove all your troubles within weeks. But, do they work? The answer is no for 9 out of 10 times. 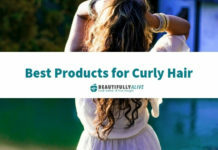 However, these methods, techniques, and tips listed here are proven to be effective in ensuring that your hair grows quicker while appearing more nourished. It is important to note: quick fixes are not advised as they fail to maintain results in the long run. Proteins are the building blocks of almost everything in your body. The way you need to tank up on proteins while making muscles is the same way you need to include proteins for faster hair growth. 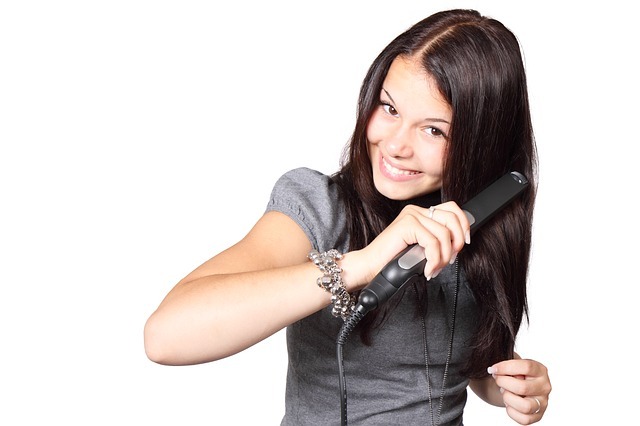 An essential component in your hair is Keratin. It is a protein-laden amino acid that promotes quicker growth. Hence, the more protein you eat, the more keratin is produced to make your hair grow faster, longer and shinier. A woman's body requires more vitamins when pregnant which is completed by prenatal vitamins. However, even regular women can have these vitamins as they are rich in folic acid, biotin, and iron in much larger amounts than traditional vitamins. These essential minerals can make your hair grow faster by providing all the essential nutrients. You might get glowing and fresher looking skin as well. Another nutrient that you can get from increasing your protein intake is cysteine. This is an anti-oxidant found in many protein-rich foods and as per some studies is linked to making your hair grow quicker. You do not have to take any supplement for this amino acid. Accordingly, you can acquire your daily intake by including granola bars, oat bran, wheat products, and couscous in your diet. This is ironic to growing your hair, but by trimming your hair periodically, you can ensure that it grows faster. 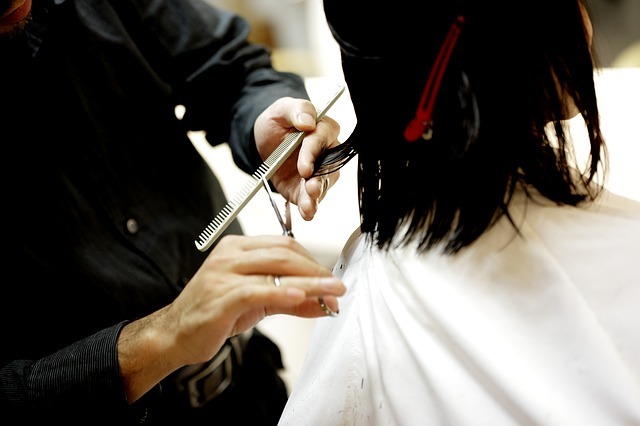 A trim every 6 to 8 weeks can ensure that there are no split ends or breaks that might cause hair damage later on. You shall be able to see great results in only a matter of months. Your hair roots require oxygenated blood to grow faster. You can ensure strong and steady growth if you flip your hair over every day for a couple of minutes. It is easier done if you are sitting. Just flip your hair over your head and let it hang down. This allows oxygen and essential nutrients to reach your hair follicles. By washing your hair every day you strip it of its natural oils. The chemicals present in shampoo are very harsh on your hair which can slow down its growth. Even the daily use kinds can do more damage especially if you have a normal to dry scalp. You can begin by washing every alternate day to start with. 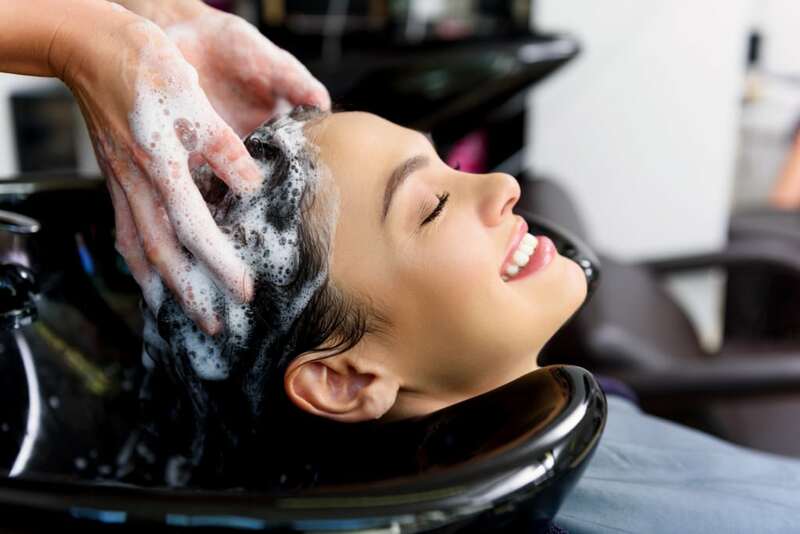 However, if you suffer from an oily scalp and tend to go out often, then washing daily would not be a bad idea. It is easier to comb hair when wet than dry. However, wet hair is more prone to damage. Hence, it is important that you wait for your hair to reach a semi-dry state before you attempt combing your tresses. Alternatively, if you are in a hurry, then you might want to brush your hair down with a wide-toothed comb. Ever noticed how yogis have fantastic hair? It is because hair grows faster when you are not stressed and are eating right. Stress can cause disruptions to your hair's natural growth cycle and interfere with many processes. By sleeping better, eating healthy, deep breathing and meditation, you can ensure that your hair grows thicker and faster. There are times when you simply cannot avoid playing with your hair. However, coloring, straightening or perming your hair can have disastrous effects on the hair follicles. 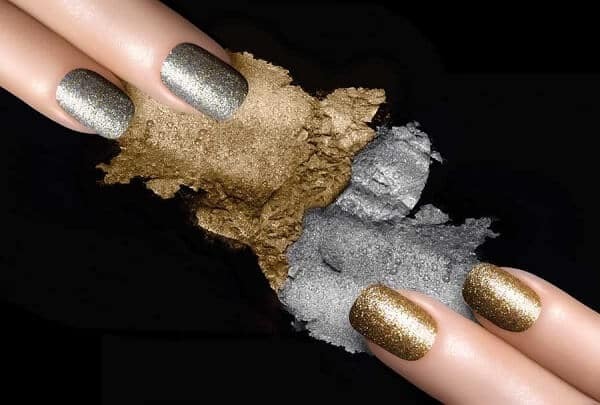 If you want to promote growth, then you need to stay away from these salon treatments for a while. Also, try to avoid blow drying wherever possible. Drying your hair at the lowest heat setting until it is just slightly wet to avoid causing damage is also a good idea. Also, try not to run your fingers through your hair continuously. Your hair will grow faster if it is in good condition. The best way to promote growth is to oil your hair at least twice every week. 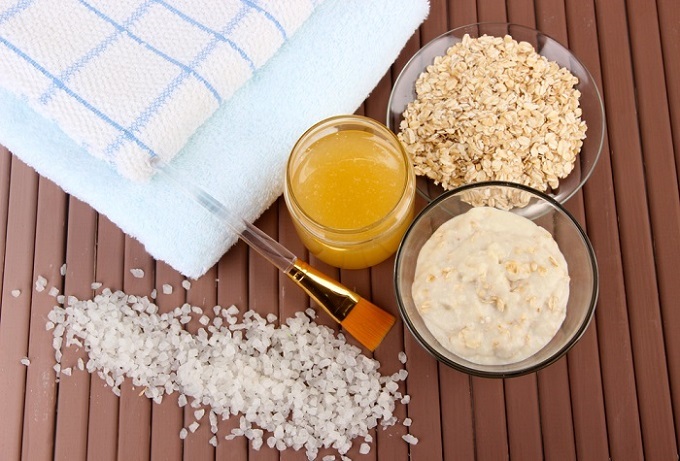 For best results, you can either try hot oil treatment or wrap a warm towel around your head after oiling. This allows pores to open up and absorb the oil nourishment better. You can try a combination of oils to make your hair grow faster. Generally, coconut oil and castor oil are advocated as the best options to speed up hair growth. However, many people have noticed effective results by using a combination of slightly heated sesame and olive oil as well. There are many herbal packs that are available in the market to boost hair conditions. 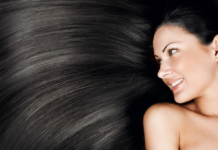 Your hair will always grow faster if it has the required nourishment and the right conditions. Herbs like rosemary help in stimulating hair follicles that can aid in better growth. Peppermint packs are also helpful in stimulating growth. Additionally, by routine oiling and herb packs, you can prevent dandruff that is a major cause of hair breakage. The best and easiest way to make hair grow is by cracking open an egg on your head. For a more sophisticated treatment, you can mix equal parts of egg whites and olive oil with a few drops of lemon juice. By applying this mixture to your head, you ensure that your scalp gets the required proteins and essential nutrients to boost growth. Onion juice is rich in sulfur, and Aloe Vera is good for removing excess sebum. Sebum is naturally produced by hair glands and is linked to slowing growth. However, a mix of these two can put you back on track of fast growing hair. Dip a cotton ball in this mixture and apply it evenly to the scalp. Leave it on for 10 - 15 minutes and then wash away using shampoo. 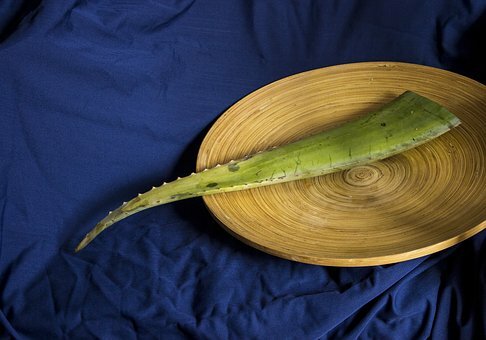 Onion might sting in the beginning; however, Aloe Vera should take the sting away after some time. Apple Cider Vinegar is a great help in stimulating your hair follicles and making hair grow faster. By rinsing your hair after shampoo with apple cider vinegar, you can return the pH balance of your hair to normal. It also prevents chemical build up in your hair follicles that cause damage. Additionally, apple cider vinegar is known to naturally stimulate hair follicles to promote faster-growing hair. There are multiple benefits to a healthy workout. Exercise helps in promoting natural growth by increasing blood flow through your whole body. This helps oxygenated blood and essential nutrients to reach your hair roots that in turn promote faster growth. In addition, a healthy workout will also leave your skin feeling younger, fresher and supple. These are proven tips and methods to speed up hair growth when tried alone or in combination. The key to faster growing hair is the right diet and a healthy lifestyle. However, sometimes you might not achieve the desired results even after maintaining a good lifestyle and dietary habits. It is critical that you visit your salon to identify conditions related to split ends or damaged hair that might slow down the growth. Your hair needs ideal conditions and all the right nutrients to grow.